Do you have a patio wall that is blank and ugly? You never seem to find the right piece of art that can hang outside and look good year after year. How about a porch that needs some help for added color and beauty? 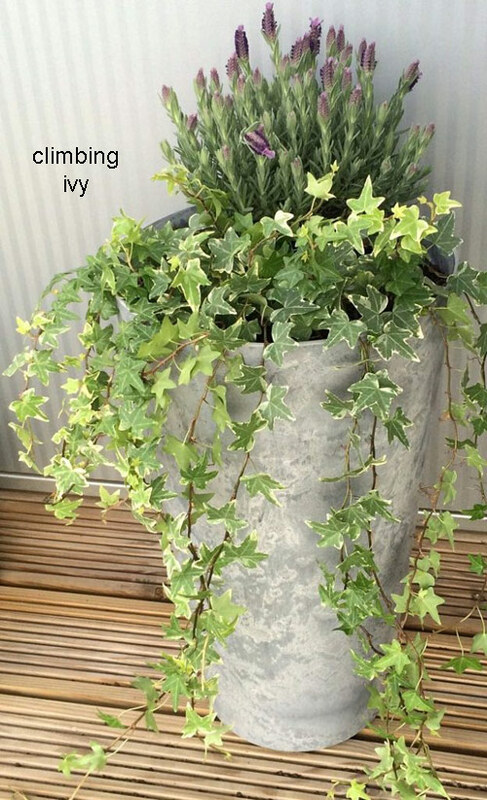 Try a climbing vine in a pot. These vines are easy to grow in a flowerpot and will add a vertical touch to your porch or patio décor. Here are a few suggestions to help you get started. Remember though that there are many types of climbers that will work good in a flowerpot so don�t limit yourself to the ones listed below. IVY � We all know Ivy and love it. You see it growing outside a traditional home as well as an English Tudor style. It is virtually one of the best climbers to pot and is great for beginners because of its hardy growth. Potted Ivy likes a wide and shallow container better than a narrow and deep one but that shouldn�t limit you. This climber likes most size pots! Place around the outside of any garden planter where you want it to grow over the side. Set your garden container next to the wall you want it to grow on and attache it to make it climb as it grows. Beautiful. 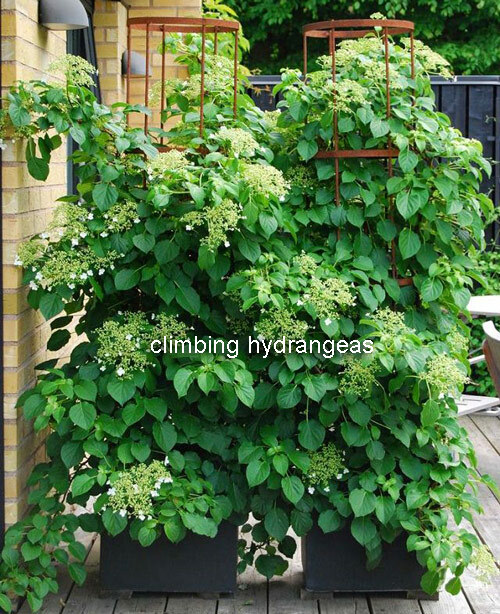 CLIMBING HYDRANGEA � Everyone knows hydrangea. The smell and beautiful blooms make is a wonderful addition to any garden container. Since it can grow up to 70 feet long it�s perfect for a patio wall or porch. The main thing to consider is the larger the planter you can handle the better. This time of climbing vine likes room to grow to stay healthy. Use a trellis in the planter and have the vine weave in and out of it to create a vertical barrier for privacy. 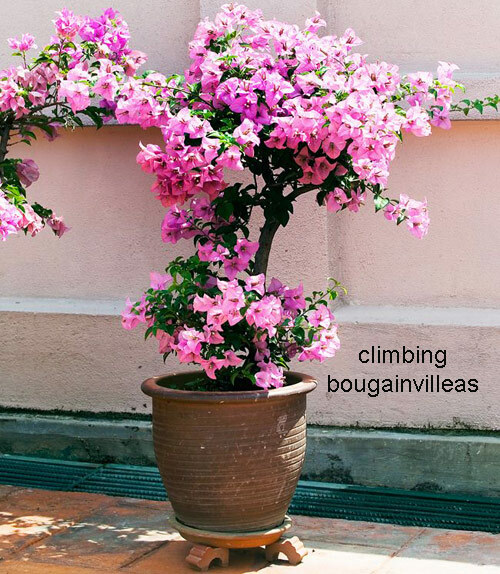 BOUGAINVILLEA � In Arizona, we all know this climbing shrub very well. It�s shocking pink blooms and sharp thorny vine make it unforgettable. It is super easy to grow and will add a tropical touch to any garden planter or porch railing. If you live in a harsh climate you will have to protect this potted shrub from winters cold. Place the pot next to a pillar and have it climb up creating a living explosion of color. 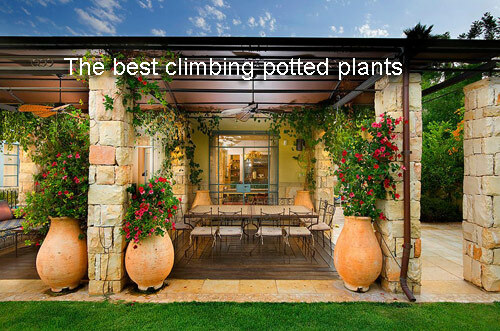 There are many climbers you can try like Sweet Pea, Jasmine, Black Eyed Susan, & Passion Flower. Don�t limit yourself and create lovely garden planters and vertical gardens. Now your Fall garden planters around your home and yard should be looking pretty spent. The mums may have started to fade and the grasses have been beaten by the wind. 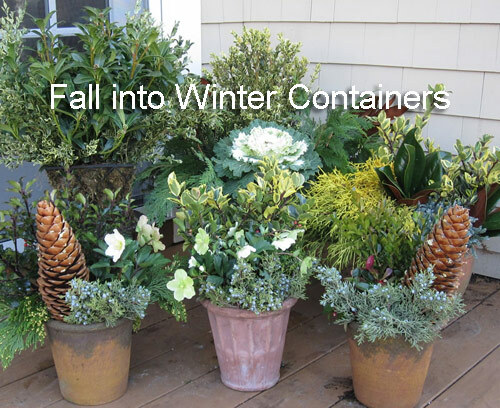 We would like to make a few suggestions on how to transition into your winter containers. The main focus is to plant the containers with plants that will last thru the harsh winter temps and still look presentable and decorative. 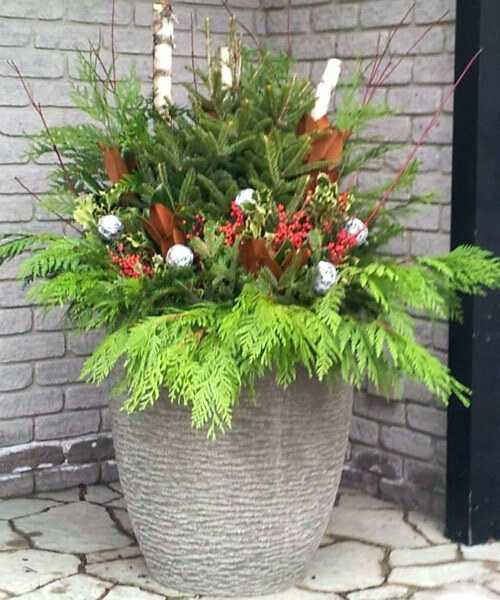 In many cases, you only need to plant on center evergreen and then add a bunch of decorative items to make the whole container more dazzling and lively. Birch branches are always a big addition. You can tie them together to create a cluster and stick in the center of the planter. 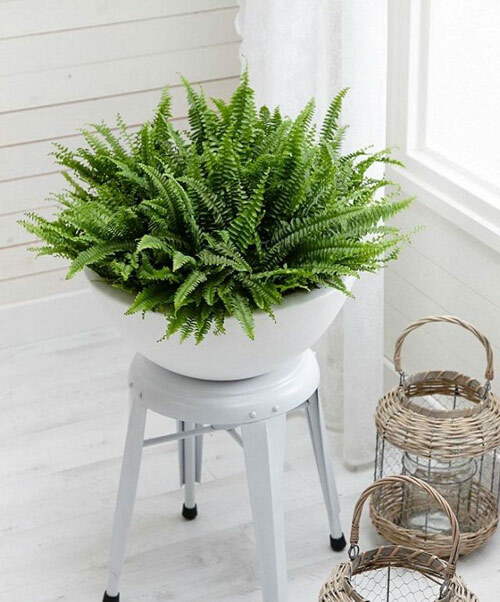 This gives the planter height, a stark white contrast to the deep green plant that is unique. Berry Branches are also stunning when sticking out of an evergreen. You can cut them off an existing bush or purchase them at the local craft store. Holly is a wonderful addition to any winter planter. Pods and Seed Heads are very decorative. They add a dried touch to the yard pots and can be sprayed with spray paint that matches your décor. 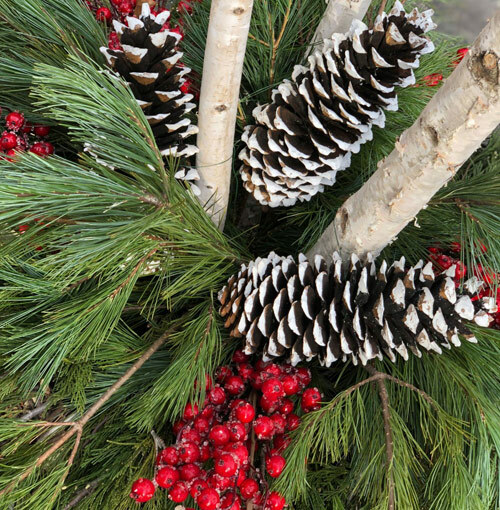 Red, Gold & Greens look lovely for the holidays while the natural earth tones will last into the new year and still look lovely. Conifers in all varieties are the very best. 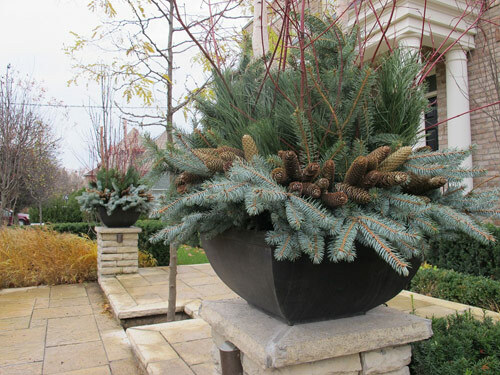 Cedar, spruce, and boxwoods are the perfect addition to any winter container because they can handle the harsh weather and fill your planter with lots of earthy green color and texture. Junipers, ornamental cabbage, and kale are large and work wonderfully planted around the outside of your pottery. 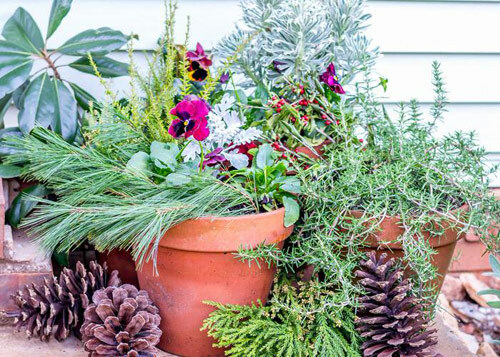 Now that we have given you a few suggestions for turning the Fall planters into Winter planters around your yard, patio or porch we think it is time to try thinking outside the box. Look around your yard or your neighbor�s yard and see the different types of plants, shrubs, berries, and branches that are growing. Try adding them into your design and create a planter that will last for many months to come. We have all heard how healthy it is to have indoor potted houseplants because of their ability to purify the indoor air. The color and beauty of a living plant brought indoors can�t be stressed enough. It brings life, smell, and color to your surrounds in a healthy, natural way. Today we are talking about that potted fern you have that is looking a bit worn and weathered. 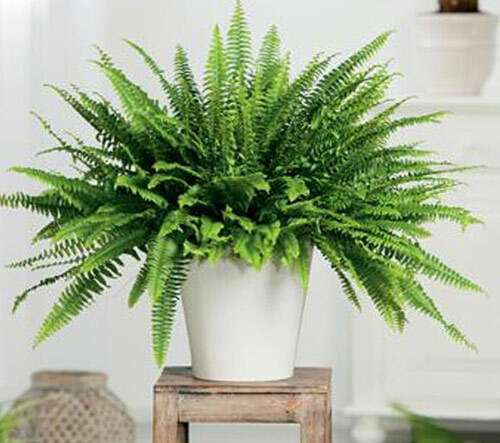 You have always loved the look of a fern and the feeling of being in the tropics when you look at it. 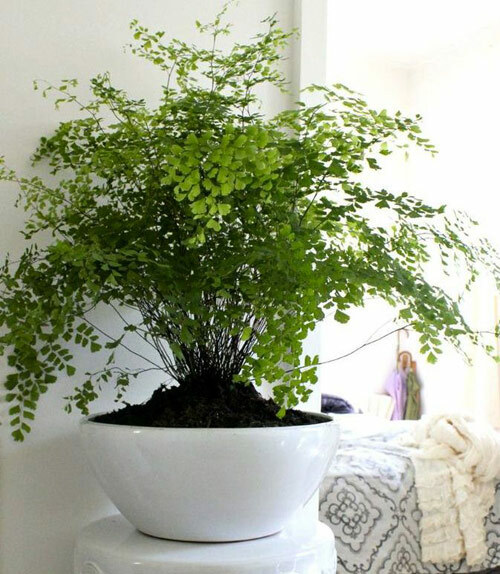 Well, maybe you don�t live in the tropics but want to grow a potted fern indoors. Here are a few tips to help with new growth. All indoor potted ferns need light. They don�t like direct sunlight but a north facing window is good. Don�t place the planter in a dark corner or you will have issues but make sure in the winter months that they get as much sunlight as possible. Water the pot once the top inch of soil is dry. 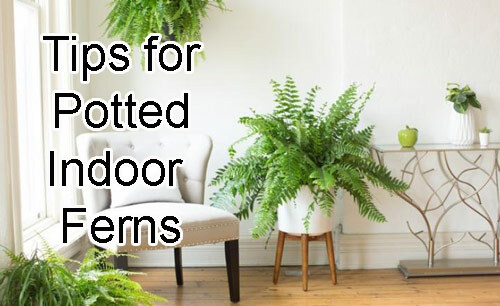 If you have them placed in a humid environment like a bathroom window they will do much better but a light misting will really help a lot if necessary. The best fertilizer to use is a liquid formula. Apply at the base only so you don�t harm the fronds. 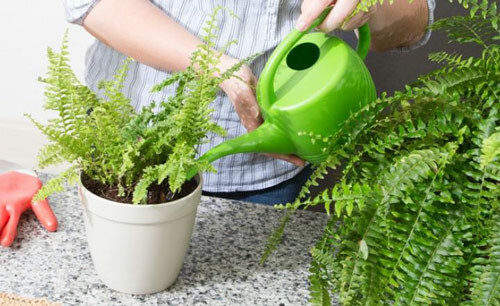 When it comes to re-potting your indoor fern you will only have to do it if you want it to grow bigger. Otherwise, keep it in the same container and trim off the old, large and spent frons. You can always divide it into 2 garden containers and keep it growing. Worth mentioning are other things to keep your eyes on. Pest & Disease can sometimes happen. If you experience either of these just google how to handle it and move it. It�s not the end of the fern by any means but it must be attended to. 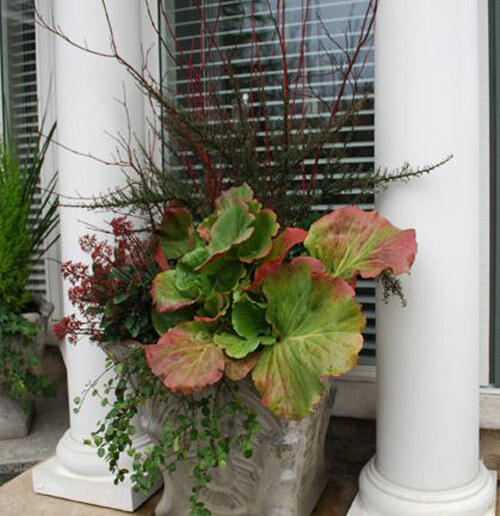 [Read More] 3 reasons why your potted planters might fail. [Read More] Cleaning tips for your terracotta pottery.